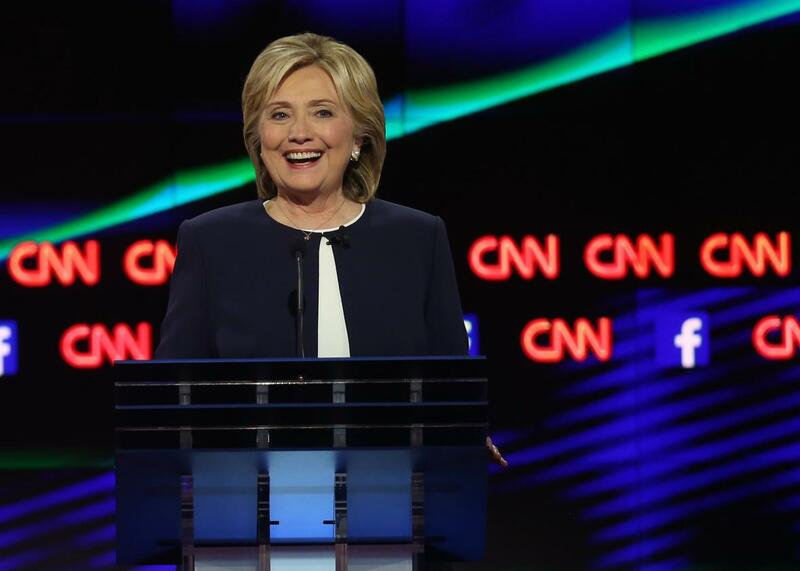 Hillary Clinton on climate and Copenhagen at CNN debate. Hillary Clinton, at the debate in Las Vegas on Oct. 13, 2015. During the past two presidential campaigns, environmentalists cheered at the mere mention of climate change. Today, the urgency of the issue—where decades of inaction by world leaders has combined with steadily increasing extreme weather to produce an obvious threat to humanity—is undeniable. And throughout Tuesday night’s debate, it was clear the tide has shifted. The boldest proposal came from former Maryland Gov. Martin O’Malley, who said his first action if elected president would be to steer the country on a path toward 100 percent renewable energy by 2050. That may or may not even be possible, but at least it was forward-thinking. And then there was Hillary Clinton. About midway through the debate, Clinton staked her climate record on what’s widely perceived to have been one of the biggest diplomatic failures in recent history—the Copenhagen climate summit in 2009. After years of anticipation, the meeting of world leaders ended in disarray, with Obama and his aides famously wandering around the convention center, looking for the leaders of China, India, Brazil, and other key nations. The toothless deal struck at the last minute was called a “grudging accord” by the New York Times the next day. Yes, Obama—and Clinton, then his secretary of state—were instrumental to that deal, but it’s hardly something Hillary should be proud of. In reality, the sour legacy of Copenhagen has haunted international climate negotiations ever since. It’s now widely believed that the U.S. never wanted a legally binding climate deal in Copenhagen at all—even though the Democrats controlled the Congress at the time and may have been able to successfully ratify the treaty—opting instead for a mostly empty pledge of billions of dollars in aid to developing nations. Among environmentalists, Clinton has retained only a mediocre reputation on climate change as a result. Her Copenhagen comment wasn’t just a poor choice of wording, because she brought it up again later in the debate. Climate activists on Twitter weren’t psyched. I can't believe @HillaryClinton brought up Copenhagen as a foreign policy victory. Just shocking disconnect from reality. With all due respect Hillary Clinton has skirted environmental issues at every corner. Copenhagen was not a victory. In her expanded version of the story, Clinton and Obama were roaming Copenhagen “literally … hunting for the Chinese.” Once they found them, she said, “We marched up, broke in, and said, ‘We’ve been looking all over for you. Let’’s sit down and come up with what we need to do.’ ” That all sounds very Jason Bourne, but it’s not a good substitute for effective climate policy.